Carrots are a nutritional powerhouse and provide key nutrients to promote optimal health. Carrots are one of the most nutrient-rich vegetables. Carrots contain essential vitamins and minerals along with dietary fiber. Carrots are rich in vitamin C, beta-carotene, fiber, vitamin K, antioxidants, and potassium. Potassium is an electrolyte which aids in muscle. One cup of carrots contains 689 mg of potassium. Carrots smoothies are a great way to eat more carrots. 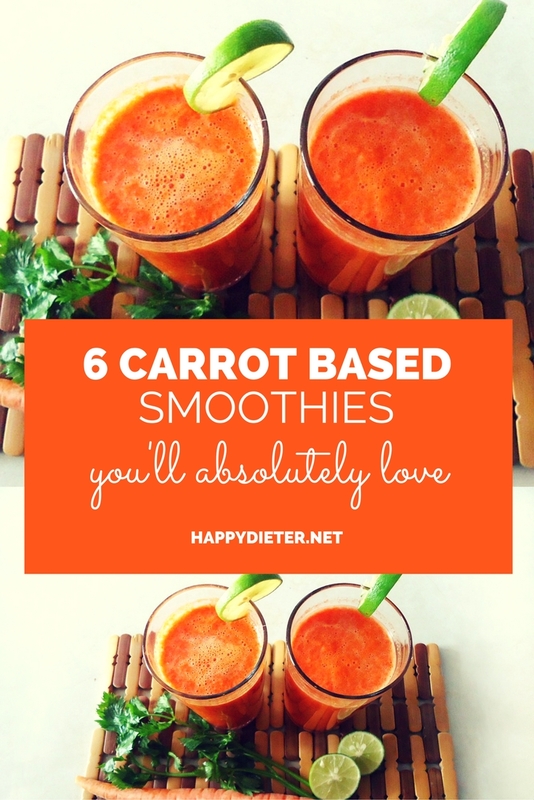 So, here are 6 carrot based smoothie recipes you’ll love. Adding mango to your smoothie is a great way to incorporate more fruits into your daily diet. Mango is high in vitamin C and fiber. In a blender, place the mango, almond milk, and carrots. Blend until smooth. Enjoy. Carrots are loaded with vitamins K and E, calcium, iron, and folate, making them a healthy addition to any smoothie. Add all of the ingredients to a blender and blend until smooth. Enjoy. Apples are a good source of vitamin C, vitamin B-6, dietary fiber, riboflavin, thiamin, and pyridoxine. Add the carrots, apples, cinnamon and flax seeds to a blender and mix until well combined. Enjoy immediately. Adding fresh spinach in your smoothie is a tasty way to eat more veggies. Spinach is loaded with vitamins C, K, and dietary fiber. Simply, add all the ingredients to a blender and mix until smooth. Garnish with the mint and a thin lemon slice. Serve and enjoy. 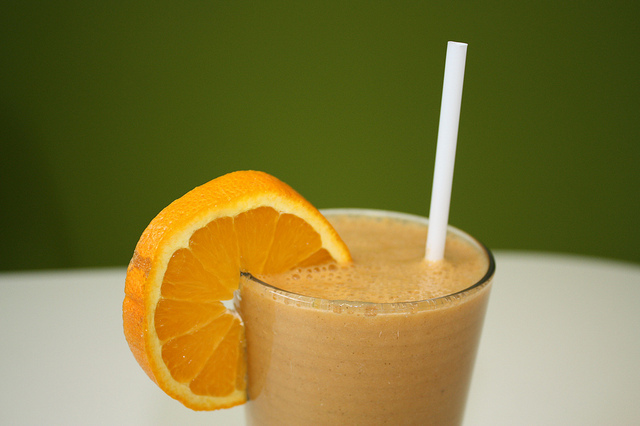 Orange is a great addition to any smoothie. Orange is a great source of vitamin C and potassium and low in calories. Place the carrots, coconut water, banana, oranges and apple in a blender and blend until smooth. Garnish with mint leaves. Done! This easy to make smoothie is loaded with essential vitamins and minerals. Kale is a nutritional powerhouse. It is rich in iron, vitamin C vitamin K, vitamin A and along with other vital nutrients. Place the mango, almond milk, carrots, kale, flax meal and ginger to a blender and mix until smooth. Garnish each glass with a slice of lemon.Enjoy your smoothie!